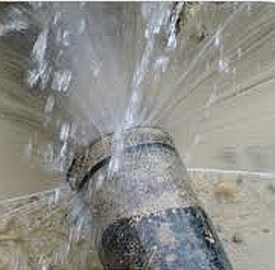 Most times a burst water pipe can be repaired, but in some cases a burst water pipe can be broken beyond repair. This mostly happens when pipes are old and corroded or have been damaged. When you have a burst water pipe, broken water pipe or just need some water pipe repairs, your house can look like it has been through a natural disaster. Water will pour out of a burst water pipe like a fire hydrant, turning your foundations into a lake within minutes. The damage from this may be horrendous if you are away from your home. 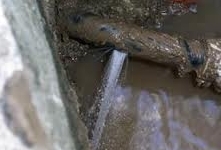 Our experienced and licensed 24 hour plumbers offer a value for money burst water pipe repair and replacement service. We are equipped to handle over 90% of burst water pipe problems onsite, saving time and money. Brisbane 1300 785 989 or Gold Coast 5536 8043. 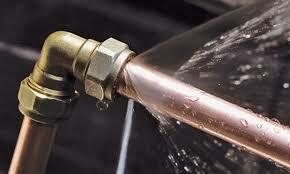 We will locate the cause of the burst water pipe to prevent further damage to your property. 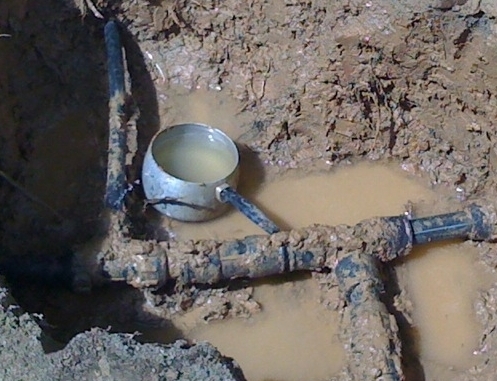 Worn Joints or Plumbing Connections – which have been under too much pressure, or are worn from age are known to cause a burst water pipe. 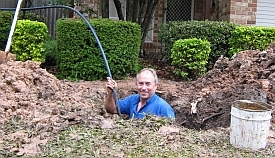 Home Renovations - digging in the backyard or completing renovations in the home sometimes results in a burst water pipe, damaging plumbing you were unaware was there. Extreme Temperatures - causing expanding and contracting of the surrounding ground. 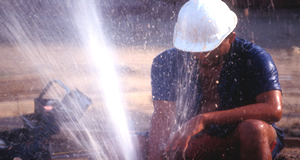 Water Hammering - a hammering noise can be heard when turning off a tap too quickly. 1. Locate the water mains turn off or shut off valve. 2. Turn off the mains valve to stop the flooding the water will cause. Flo-Rite Plumbing is the name you can trust in plumbing. Turn to us with confidence. We are a Family owned company operating for more than 29 years, we are local plumbers with local knowledge of the area and surrounds. We specialise in providing a Burst Water Pipe repair service for all Brisbane and Gold Coast Suburbs.